How to supercharge your energy! Too busy to cook? Need to grab something fast? Keep your family healthy by subscribing to my mailing list and receive my super quick and easy recipes. SUBSCRIBE TO MY MAILING LIST AND GET MY SUPER QUICK HEALTHY RECIPES, FOR FREE! 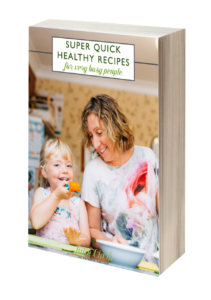 Would you like a FREE copy of my fantastic "SUPER QUICK HEALTHY RECIPES" guide for FREE? !